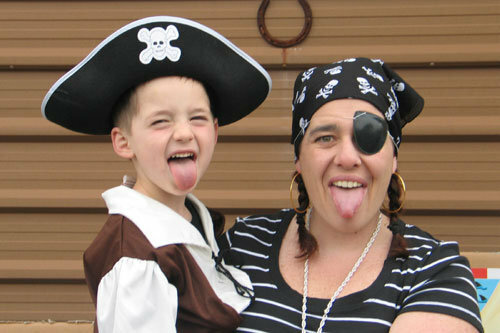 Jamal’s 5th birthday we had a dress up Pirate Party. 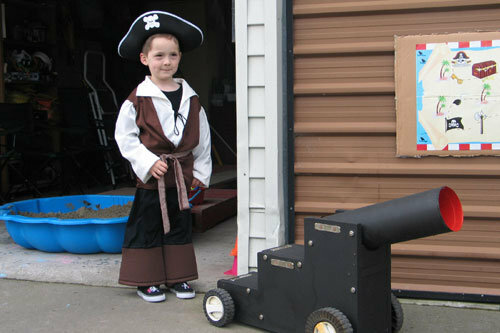 Jamal’s Grandfather made a wooden canon for him and the children to play on. We had a plank for games and sandpit to dig for treasure. 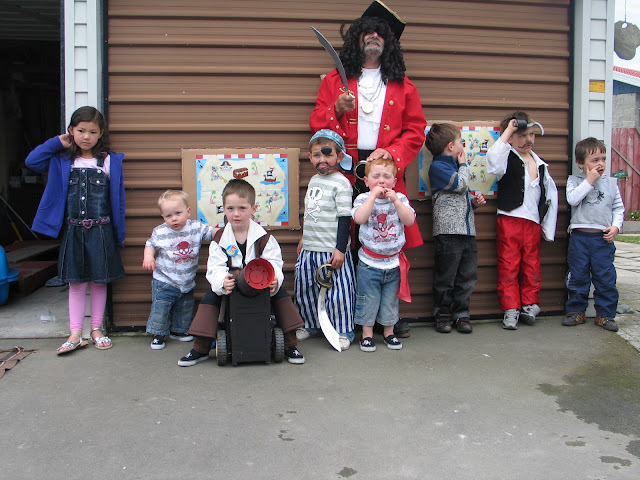 All the children and adults came dressed up and we had a fantastic time. 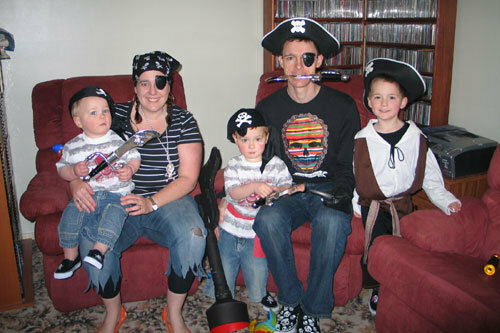 We decorated the house with black pirate balloons and also pirate flags and banners. 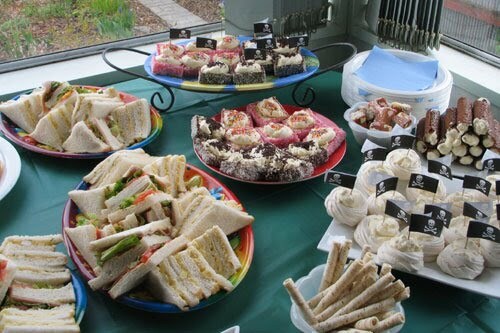 We had pirate themed serviettes, table cloth, cup, plates and hats. Our idea for Jamal’s Pirate Invitation was an old map. We printed the invitation on old paper and burnt around the edges. The invitation was then rolled up and tied and put in a bottle and hand delivered to friends and family. Pass the Parcel. 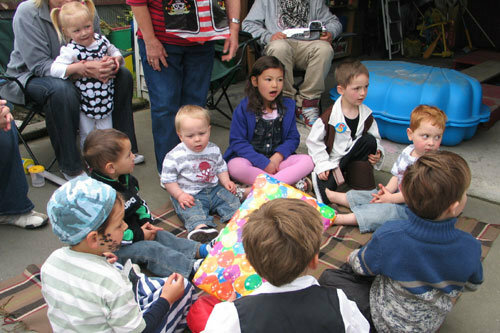 Each layer had a small pirate ring and lollypop with a pirate saying that the children kept. Final layer had a Pirate Playset & Pirate Puzzle for the prize. 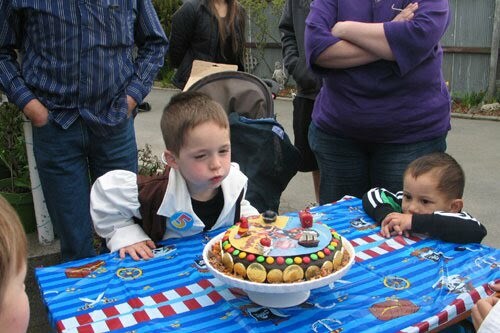 Walk the Plank & Dig for Lucky Number. We set this game up in the garage. 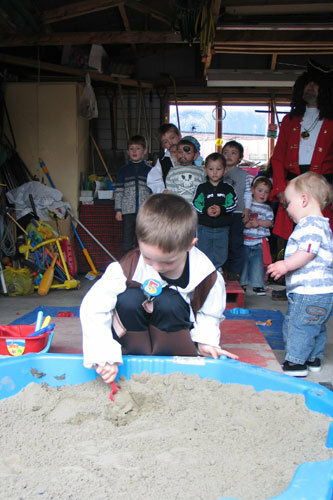 Each child had to walk the plank and then dig for gold in the sandpit. Each coin had a lucky number on it. When every child had a lucky coin they waited to hear what prizes they had won. 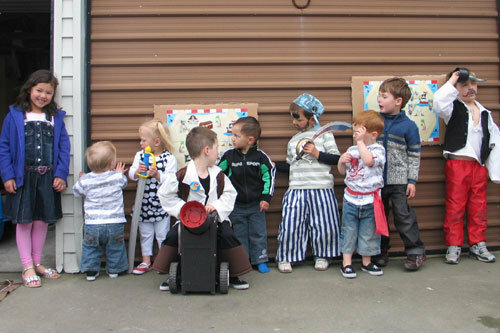 Some of the prizes were Pirate playsets, Pirate Notebooks, Pirate Scenery Boards, Pirate Masks, Pirate Eye Patches, Pirate Swords, Treasure Island Book, Pirate Pens, Pirate Puzzle and Pirate Whistles. 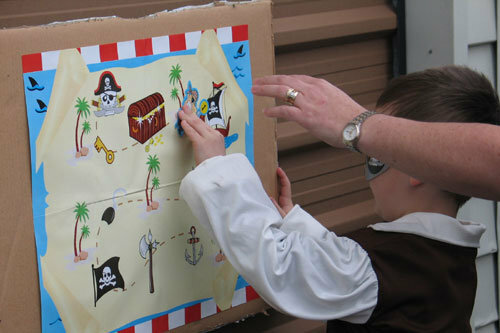 Pin the Pirate on the Map. I got this game at the $2 shop. I knew there were going to be lots of children so got two games, one for the older children and the other for the younger children. They were blindfolded and had to put their pirate sticker on the X on the map. The closest person in both games won a prize. 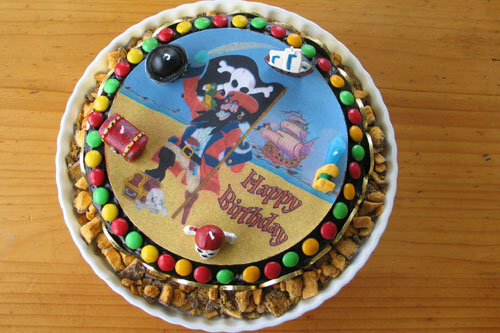 Pirate Birthday cake - I brought a Pirate edible icing topper for the Chocolate cake I made and put lots of golden crunchie pieces around the sides. 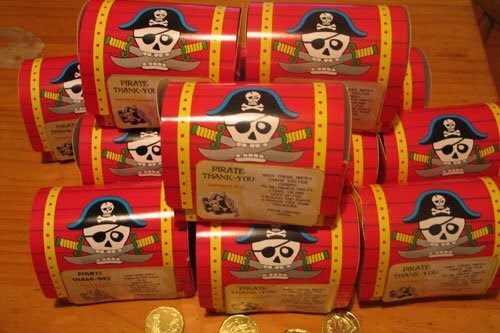 We found 5 pirate candles for the top. 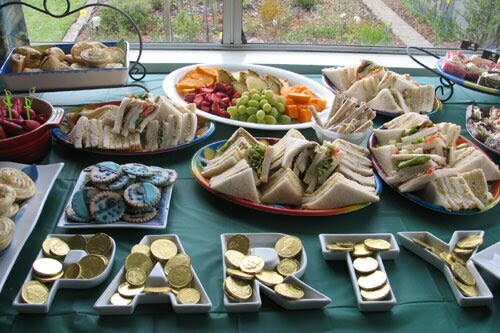 when the party was over with a little thank you note attached. 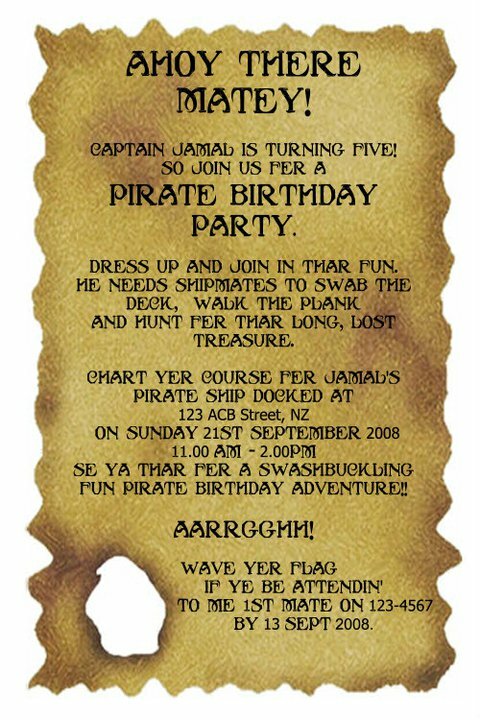 Jamal was so pleased everyone dressed up for his special day. 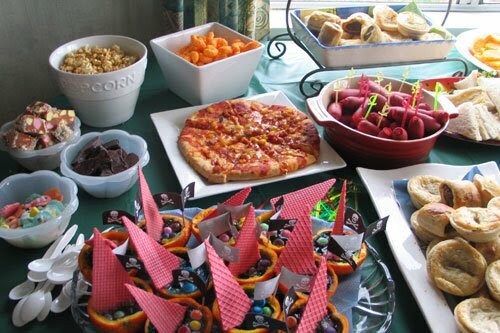 A great party!